Australian Football's pioneers were fantastic at developing the game, but not so great at recording and preserving its history. With the focus on today's action and tomorrow's prospects many significant achievements in our game have been recorded inaccurately or completely overlooked. Mistakes went unchecked; memories and vague recollections were allowed to become facts. The purpose of this section of the site is not to name and shame but to identify discrepancies and correct any errors so that future generations will have the proper information to work with. If you have a query about anything posted here, or if you have noted a possible error anywhere throughout this site, please contact me. The Argus has Victoria winning 8.24 to 1.8, The Australasian 9.22 to 1.8, The Advertiser 9.23 to 1.8, The Register 9.24 to 1.8. ERROR - the former FullPointsFooty website has this match being played in 1888. FACT - it was actually played in 1886. MYTH - many sources incorrectly label this as an intercolonial match against "Tasmania". 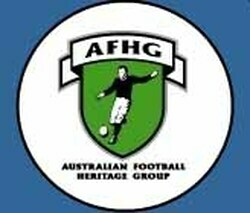 REALITY - Victoria's opponents were a representative team from the STFA, southern Tasmania's major league. The northern league (NTFA) had no involvement in the tour. MYTH - many sources incorrectly label this as an intercolonial match against "New South Wales". REALITY - Victoria's opponents were a representative team from the Newcastle-based Northern District Football Association (NDFA). The main NSW league, the Sydney-based NSWFA, had no involvement in the tour. REALITY - this was a scheduled tour match against the STFA played in the lead-up to the intercolonial match on June 10. The northern league (NTFA) had no involvement in the match. REALITY - this was meant to be an intercolonial match against a combined Tasmanian team but due to local football politics the NTFA refused to participate, making this game representative (Victoria vs Southern Tasmania) rather than intercolonial (Victoria vs Tasmania). ERROR - The Barrier Miner [22-10-1945] incorrectly refers to the Combined Coburg-Williamstown team as a VFA representative team. FACT - Coburg and Williamstown toured Broken Hill in October, playing each other on Oct.20 then playing as a combined team on Oct.21 against the Broken Hill Football League. No other VFA teams or players took part in these matches. ERROR - an article in The Sun News Pictorial (13-5-1982) says Fred Cook captained the VFA representative team from 1976 to 1980. FACT - the 1976 VFA team was led by Geelong West's Howard Smith. Cook was named as a reserve but played for Port Melbourne that day back in Melbourne. ERROR - Gary Brice's Wikipedia page lists him as VFA representative coach from 1981 to 1985. FACT - Brice coached the VFA team from 1982 to 1985 (Prahran's Mick Erwin was coach in 1981). FACT - this was a pre-season practice match played at Windy Hill between the reigning VFA and VFL premiers. Although Sandringham was bolstered by a handful of players from other VFA clubs who were on loan for the day, this was not an official VFA representative team. Click the tab at left for an exploration of how the VFA Medal myth became reality. ERROR - The Argus says this game was played at Junction Oval, St Kilda. ERROR - a number of modern sources (The VFA by Marc Fiddian, www.australianfootball.com and Wikipedia) all list Port Melbourne's final score as 15.15 (105), a margin of 31 points. The source of this error appears to be a typo in the The Age match report (6-10-1947, p.8) which shows Port Melbourne's score as 15.15 (103). It seems somewhere along the line the total was changed to match the typo, just as Wikipedia's 1947 season page has done, citing The Age match report as its source but altering the total to match the typo: so 15.15 (103) has become 15.15 (105). FACT - the 1947 Grand Final scores were actually: Port Melbourne 15.13 (103) d. Sandringham 11.8 (74) - a margin of 29 points. - The Argus (6-10-1947, p.18) match report has these scores, and the sub-heading for the article reads: "Port combine well for 29-Pt win". - Port Melbourne's local newspaper, The Record (11-10-1947, p.2) also confirms Port's score as 15.13 (103). ERROR - sites such as www.vflfooty.com frequently say the Caulfield vs Dandenong 2nd Semi Final (Aug.10th) was played under lights at Toorak Park, Prahran. FACT - newspaper previews and match reports confirm the match was actually played under lights at Lake Oval, South Melbourne. ERROR - Gerry Callahan (Williamstown) incorrectly listed as coach of the representative team. FACT - Jim Cleary (Dandenong) actually coached the team that year. Callahan led the team in 1960, was surprisingly overlooked in 1961, then returned as coach from 1962 to 1965. ERROR - Jim Christou (Northcote) incorrectly listed as captain for both representative matches 2nd Division played that season. FACT - Christou only captained the team in its first match (May 30 vs SAFA). He was named captain for the second match (June 13 vs VAFA 2nd XVIII) but was a late withdrawal due to injury. Russell Hodges of Kilsyth led the team in Christou's absence. This score was sourced from The Age newspaper (19-9-1983) whose match report incorrectly shows Geelong West's halftime score as 2.10 instead of 5.10 (the error can be seen here - enter "23" in the page search box).